First Lady April Ratcliffe was born in Louisville, Kentucky. She grew up in the Lee Harvard area of Cleveland, Ohio. She is a graduate of Kent State University with a B.A. in Psychology. It was while attending Kent State University that she met her future husband, Pastor Walt. It was through this union that three children were born, daughters Cheryl and Christian, and son Ray. She is a Licensed Social Worker and presently serves as a Bereavement Coordinator at an area hospice facility. First Lady April came to the saving knowledge of Jesus Christ early in her life. She has a meek and quiet spirit. She never seeks attention, and is humble in all that she does. 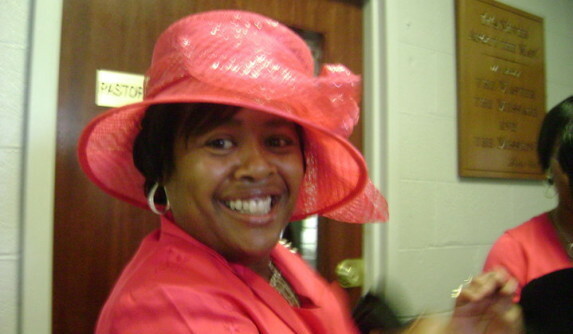 First Lady April is active in the Women’s Ministry of Good Shepherd Baptist Church. God has given her a passion to start a food and clothing bank at Good Shepherd to meet the needs of those who are without. Pastor Ratcliffe believes that after Jesus, First Lady Ratcliffe is the best thing that ever happened to him. She is the wind beneath his wings, the love of his life, his college sweet heart, and the most important person in his life. First Lady April truly has all the qualities needed to be the first lady of a church. She is faithful to God first, her husband next, her children, and her church. Read this poem about her character.